Information on admission procedures will be enclosed with the acceptance letter. Successful applicants should submit their admission documents and make payment of tuition. Orientation is held through the e-learning system. After self-introduction to professors and other students, and setting up your PC, accepted students begin preparation for e-learning. In addition, accepted students will plan their learning schedule for the next two years, receiving advice from professors and senior students. 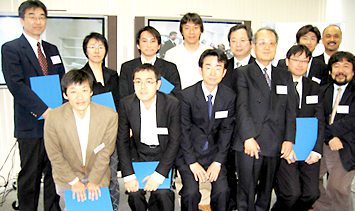 Accepted students can participate in the joint entrance ceremony held at Kumamoto University. 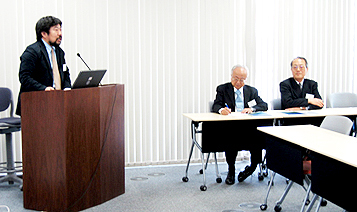 The entrance ceremony for the Graduate School of Instructional Systems will be held on a separate schedule (held simultaneously in Tokyo and Kumamoto). At the entrance ceremony, student identification and log-in information required for e-learning will be distributed. This is a rare opportunity to actually meet the professors and other students, and it is highly recommended that accepted students attend this ceremony. 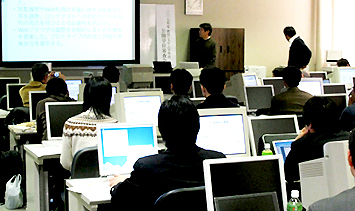 Using the registration system of Kumamoto University, registration for subjects is made via the website to begin e-learning. It is possible to register for subjects and participate in e-learning at home. Accepted students are not required to travel to Kumamoto. All lessons can be received at the most convenient time and location through e-learning. Teaching materials combining various contents, e.g., printed textbooks, VOD, or quizzes, are offered. In addition, discussions using BBS are held for almost all subjects. Each subject offers 15 tasks (small assignments) and roughly 3 to 5 assignments, and students earn credits when passing all assignments. Some subjects also offer classroom lessons for intensive lectures. 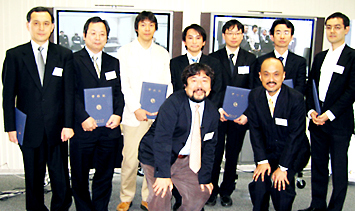 Students can attend these lectures at the location of convenience, either in Tokyo or in Kumamoto. Even when missing a class for unavoidable reason, e.g., work, the lesson will be distributed as VOD at a later date, and students can make up any classes missed. During the second year, a professor will be assigned to each student for research and instruction. Basically, remote instruction is offered using the e-learning system, but e-mail and instant messenger, etc., can also be used. In addition, by coordinating the schedules of the professor and student, opportunities for face-to-face instruction can be established. 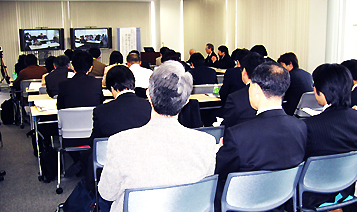 Research presentations will be held at Kumamoto University. Past research themes can be viewed on the research activity page. Once requirements are satisfied, students can receive a master’s degree in Instructional Systems or Ph.D.
As a professional in e-learning, students completing their courses are expected to be involved in in-house education/training, e-learning companies in the private sector, and lesson assistance/distance education at higher education institutions. In addition, students can advance to the doctoral program and aim to become a professor or researcher, or to work as a researcher at a company research institute. This site will continue to introduce the active roles played by students who have completed their courses.